The aim of the current study is to investigate the mechanical behaviour of aluminium alloy and reinforced with Nano-particle composites such as magnesium oxide and silicon carbide via liquid metallurgy technique. Aluminium alloy and composites are characterized by Scanning Electron Microscopy coupled with Energy Dispersion X-ray spectroscopy (SEM-EDX). The tensile properties of aluminum alloy and composites are examined under room temperature (30 ∘C) and at elevated temperatures (200 ∘C, 350 ∘C). 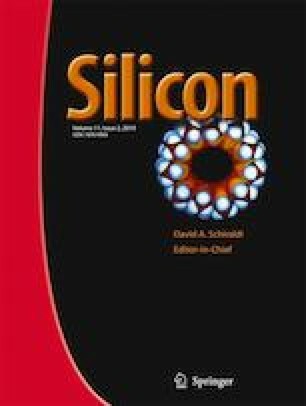 The microstructure results reveal that the SiC and MgO particles are uniformly distributed within the matrix and exhibited better interface bonding. The ultimate tensile strength (UTS) and yield strength (YS) properties of aluminum alloy-3 wt.% SiC (AA-SRS) composites are higher than the MgO under the room temperature condition. In elevated temperature, the reverse trend is observed besides the aluminum alloy-3 wt.% MgO (AA-SRM) composites has shown better strength. The combined reinforcement effect of Aluminum alloy-3 wt% SiC-3 wt.% MgO (AA-HRSM) composite increases the UTS and YS under both room and elevated temperature condition. The UTS and YS strength is increased by decreasing the percentage of elongation with the addition of SiC and MgO.